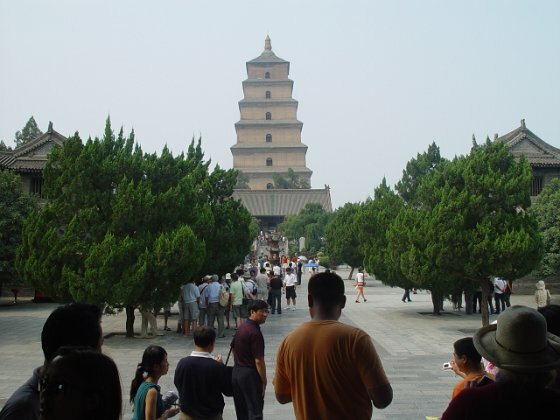 Giant Wild Goose Pagoda or Big Wild Goose Pagoda, is a Buddhist pagoda located in southern Xi'an, Shaanxi province, China. It was built in 652 during the Tang Dynasty and originally had five stories, although the structure was rebuilt in 704 during the reign of Empress Wu Zetian and its exterior brick facade was renovated during the Ming Dynasty. One of the pagoda's many functions was to hold sutras and figurines of the Buddha that were brought to China from India by the Buddhist translator and traveler Xuanzang.